Péng Lái is geïnspireerd door de prachtige osmanthus uit China, gecombineerd met benzoin en tonkaboon. 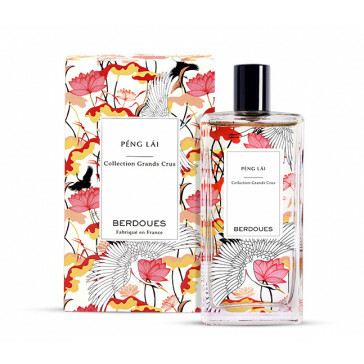 This Grand Cru tells the Chinese legend of Péng Lái, the holy mountain where used to live the 8 immortals, one of them was He Xiangu, the goddess of flowers. She is often represented holding a lotus and a peach.This Grand Cru invites you to daydream and reveals one of China's most precious flowers, the Osmanthus. additional notes include benzoin and tonka bean.